Home » Have Your Say » Is it alright for the US to spy on the world? Is it alright for the US to spy on the world? Edward Snowden captured the world’s attention after he divulged shocking details of a secret United States government mass surveillance and espionage programme known as PRISM. Snowden continues to remain in the headlines around the world as he evades the reach of the US government. The case has been a major embarrassment for the Obama administration, which now faces criticism around the world for the huge privacy-invading programme and world-wide covert cyber operations that Snowden revealed. Former CIA and National Security Agency Director, Michael Hayden, has said that the United States does conduct espionage on US citizens and in other countries besides the US. He also said that the Fourth Amendment to the Constitution, protecting the basic human right of privacy of American citizens, is not an international treaty. Snowden, a former contractor for the US National Security Agency (NSA – a branch of the US Defence Department), flew to Hong Kong to reveal this mass surveillance. The US government says its operations were aimed at gathering intelligence on individuals that are troublesome to the establishment, in order to thwart terrorism. The US government prosecutors have charged Snowden with espionage and theft of government property. Some US politicians have called him a “traitor”. On the other hand, beacons of freedom and civil liberties are calling him “a hero”, saying that Snowden has performed a great public service by revealing the colossal scale of the US government’s eavesdropping on Americans as well as on other people and governments around the world. The leaks around the US spying has shaken US ties with many nations, from allies such as Germany and France to adversaries such as Russia and China. Snowden, who is thought to be currently stranded in the transit lounge at Moscow’s Sheremetyevo International Airport, has sought asylum from 21 countries. So far none have been granted. 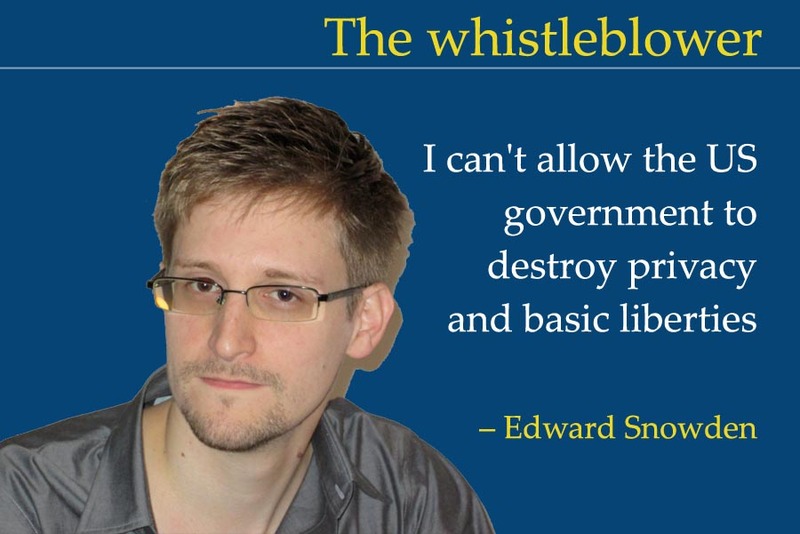 What’s your take on Snowden’s actions? Is it alright for the US to infringe on privacy and collect data with zero public accountability, and to indiscriminately survey anyone without evidence of any guilt? It is true that the timing of Edward Snowden’s revelations was awkward and could call Snowden’s motives into question. Media revelations coincided with Chinese President Xi Jing Ping’s US state visit for an informal summit meeting with President Obama in California. Snowden’s revelations of NSA wrongdoing had a strong effect, as President Obama was ready for a pre-emptive attack on China regarding cyber theft of US defense intelligence and weapons design by Chinese military agency. However, due to the exposure of US spying, Obama had to face the visiting Chinese President’s attack on American media complaining why didn’t they report the clandestine US Internet and digital surveillance on China and other countries! On the other hand, Snowden’s work does seem to show that the US is violating individual privacy worldwide, disregarding the fundamental rights of all citizens. The right to free speech and expression, including Internet and digital communication, is a fundamental strength of democracy and open society. Openness encourages creativity, innovations, and advancement in science, technology, art, literature, and culture. Enforcement by covert and overt surveillance on citizens, and putting restriction on free communication by any means in everyday normal life, is unique to closed and totalitarian states like China, Cuba, North Korea, etc. Spying on citizens and violating individual’s right to privacy, as the US and other nations are doing, are signs of weakness of legitimacy of a government. The American executive branch derived a high degree of institutionalized surveillance power from the Patriot Act that was hurriedly passed by US Congress following the 9/11 catastrophe. The downside of the Act was that it failed to incorporate sufficient checks and balance between individual privacy and state interest. Hence, in the days just after the sensational intelligence leakages by Snowden, there were contradictory statements emanating from the very American legislature who themselves had passed the Act. Some Congressmen demonised Snowden as “traitor” while others called him “hero”. The White House finally labeled his act “espionage”. Why don’t the US honor Snowden’s basic rights to defend his stand, befitting the proud American status of world champion of individual rights to free speech and expression? If today the strongest nation on the Earth, the world’s only superpower the USA — founded on the principles of personal liberty, freedom, rule of law, democracy, and human rights, including the right to free speech — sentences this lone individual, hiding in fear of arrest or worse by the US … then how can America lead others and point an accusing finger at violators of international law and decorum by a rogue state or a group of people. Snowden, holed up in Moscow Airport, has been in principle granted asylum by Nicaragua and Venezuela. It would be an opportune moment for America to take the high ground, and pardon him with a bare minimum legal sentence, to showcase to the world and to the authoritarian states that in the land of liberty and opportunity of the US of America everyone is free to express his or her deepest fears and seek redress. When states monitored their citizens we used to call them authoritarian. Now we think this is what keeps us safe Excellent discussion of how the frogs (us!) found themselves boiled, by Suzanne Moore.